game here. 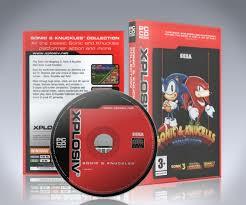 This is a classic of the Mega Drive for PC. And every Sonic fan should have it. and share it with me using MSN Messenger. Nowadays, it's not that easy to get the ISO of the game. The ISO features a special screensaver and all. But back then, all I wanted was the game itself. the entries the game uses and all the files needed. Just download, install and have fun.